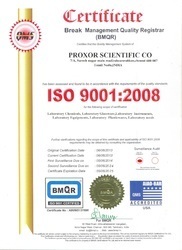 Come into the existence in the year 2012, we, “The Praxor Instruments And Scientific Corporation” an ISO 9001:2008 certified company are counted among the foremost organizations engrossed in manufacturing, supplying, trading, importing and exporting a broad spectrum of Laboratory Instruments. Offered product range consists of Hanna Instruments, Lab Chemicals Instruments and Laboratory Scientific Instruments. Our highly skilled professionals make use of the quality approved raw material in the fabrication process of these laboratory instruments. Our organization holds immense expertise in manufacturing and supplying of these products. Apart from this, we are offering these products at industry leading prices as per the precise requirements of our valuable customers. We have constructed our infrastructure over a wide area that is equipped with modern machines. As we fabricate products as per the industry defined parameters by considering the detailed requirements of our clients. These positive working attributes have been maintained and followed from the very first level of production and thus, have enabled us to become an eminent name in the specified business. 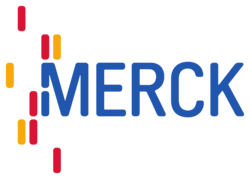 We offer our products under the Meloba, Merc, Sigma, Termofisher, Whatman and Borosil brand name in the market. Apart from this, our exporting country is Georgia and importing country is German. Inspired and directed by our mentor "Mr. Praveen Kumar", our company has achieved success in the profound business. Owing to our team of hard working professionals and the very well-organized working structure, our company has always followed client-centric approach, resulting into our commendable reputation across the market. Trading of Scientific Equipment And Laboratory Accessory. A team, as being the most vital asset of an organization, plays a big part in driving an organization to desired locus. We proudly admit that our functional body is our team and is immensely contributing to our organization’s economical wealth. Our team members are highly efficient in nature and responsibly take up tasks as per their capabilities. They are well capable of adapting the new trade policies and changes with ease and contribute to the growth of the organization. Quality has always been the prime concern of Proxor Scientific Co. and we have worked out very hard to cater the same throughout the product ranges that we propound to our valued customers. Our vendors thoroughly test each product before making the dispatch function and make sure that no defect piece is being supplied to us so that it may further pose no threat to our business ties. Besides this, we also make sure that only defect free supplies are to be made from our side to our esteemed clients so as to ensure a long lasting relationship with customer.